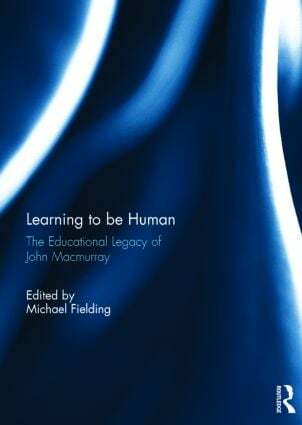 The educational writings of John Macmurray, one of the finest 20th century philosophers of his generation, have a special relevance for us today. In similar circumstances of international crisis he argued for the central importance of education addressing fundamental issues of human purpose - how we lead good lives together, the emphasis on wisdom rather than knowledge alone, the advancement of a truly democratic culture, and the overriding importance of community in human flourishing. This remarkable collection of articles from leading international scholars includes the hitherto unpublished John Macmurray lecture – Learning to be Human – and brings together invited contributions from a range of fields and disciplines (e.g. philosophy of education, moral philosophy, care ethics, history of education, theology, religious education, future studies and learning technologies) and a number of countries across the world (e.g. Australia, the UK and the USA). Countering overemphasis on technique and its typical separation from wider human purposes emblematic of much of our current malaise, this book asks what it might mean to take the education of persons seriously and how such a perspective helps us to form judgments about the nature and worth of contemporary education policy and practice. This book was originally published as a special issue of the Oxford Review of Education. Michael Fielding is Emeritus Professor of Education at the Institute of Education, University of London, UK, and taught for 19 years in some of the UK’s pioneer radical comprehensive schools and for a similar period and with identical commitments at the universities of Cambridge, London and Sussex. His latest book, with Peter Moss, is Radical Education and the Common School (2011).